If you grow flowers and herbs for not just their appearance, but also their benefits as alternatives to housekeeping chemicals, then geraniums should be in your garden. 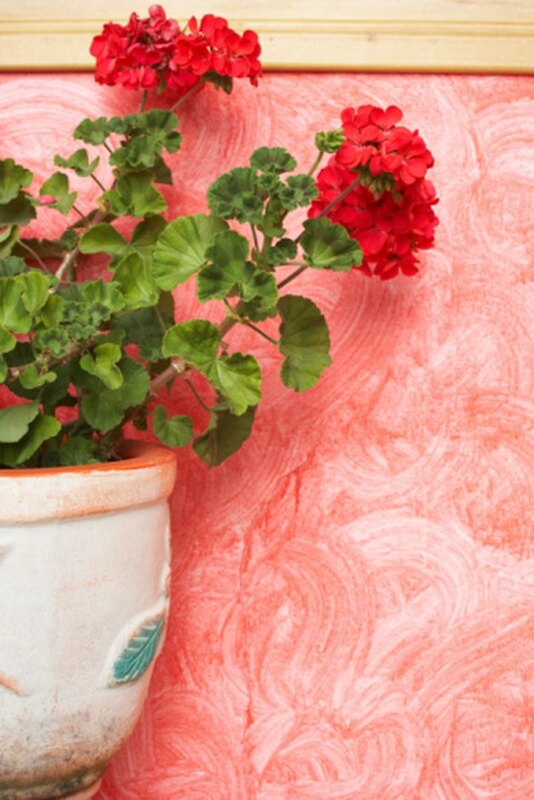 Long used as insect repellents, geraniums are an alternative to chemical insecticides. Geraniums are not only attractive annuals, but also have insect-repelling benefits. Geranium repels a wide variety of insects. Grown in a garden, they repel mosquitoes, making it possible to enjoy your yard in the mornings and evenings. Geranium extract is also said to repel mosquitoes and is a popular ingredient in many natural over-the-counter insect repellent sprays. Planted in flower beds, geranium plants also repel common pests that can damage plants, such as beetles, and are thus often used as companion plants for many fruits and vegetables, including cabbage and tomatoes, as well as alongside roses, according Golden Harvest Organics' companion plants guide. When used as a companion plant to prevent garden pest infestation, the geraniums should be planted as close as possible to the produce or shrubs being protected. Planting them circularly around the protected area or plants offers the best insect protection. Geranium extract, also called geraniol, is a common active ingredient in natural repellent sprays, candles and misters. Most homeowners purchase premixed insect repellents containing geraniol and other ingredients, such as citronella, from natural product retailers, mass-merchandise stores or mail order. What Flowers Keep Mosquitoes Away?